Most people cultivate a close group of friends – those that share common interests, or that they feel most comfortable being around. One of the unfortunate drawbacks to being a tea blogger is . . . most people within my close-knit group reside in several different locations across the country. Or outside the country. As a result, I only see them once a year at World Tea Expo. The only way we have to combat this is Google Hangout. Yes, Google Hangout: The tool used by hermits everywhere to pretend at being social. That and for business meetings . . . conducted by hermits. As you can tell, I positively adore Google Hangout. But I am also a self-professed hermit. Many moons (and Moonlight teas) had passed since my group last had a “Tandem Tea Tasting” event. Jo “A Gift of Tea/Scandalous Tea” Johnson finally chose to rectify this absence by scheduling one. Months in advance. Several within our group – and a few newcomers – had families, busy professional lives, and different time zones to contend with. Scheduling early was necessary. I had none of these hang-ups, and agreed to whatever time/day the group thought was easiest. Friday, Oct. 23rd was the agreed upon day. Jo Johnson took it upon herself to cultivate the teas we would sample for this session. She got in touch with Austin Hodge over at Seven Cups, a wonderful company based in – of all places – Tuscon, Arizona. He and his minions graciously donated four teas for the proceedings – a Yunnan black tea, two yellow teas, and a Wuyi rock oolong. The day the package arrived, though, I . . . cheated. Jo gave explicit instructions to not open the package until the time of the group tasting. Due to my poor impulse control, though, I dipped into the Meng Ding Huang Ya yellow tea early . . . and wrote about it on my Tumblr. Yes, I was duly scolded by the matron of ceremonies. As such, I only chose two teas to work with for the tasting. Through sheer willpower, I resisted breaking into the other teas until the day of the tasting. Among the usual suspects present were myself, Nicole “Tea For Me Please” Martin, Jo herself, Rachel “I Heart Teas” Carter, Chris “Teaity/Tea-Guy” Giddings (in spirit), Darlene “Tea Lover’s Archive/Tea Enthusiast’s Scrapbook” Meyers-Perry, and Nicole “AmazonV/Devotea USA” Schwartz. All were bloggers like me, and a few were also tea professionals in some capacity or another. Some new faces also showed up to this particular event. Jen “An International Tea Moment” Piccotti and Robert “Lord Devotea” Godden were regulars in our circle, but new to the tandem tastings. Robert’s wife, the venerable Lady Devotea, also chimed in occasionally. The wonderful (and recently published) Linda “Tea Stylist” Gaylard arrived fashionably late to her first tasting with us. And lastly, Sara “Tea-Happiness” was new to the insani-“tea” all-around, but fit right in with the rest of the nutters. As we broke out the teas, I made the suggestion that we go from darkest to lightest. That meant the first we notched off was the Jin Cong Que (Golden Peacock). Many felt it was a really strong and malty black tea. Lord Devotea felt it smelled and tasted like the ozone-rich air prior to a thunderstorm. I felt it tasted like the metaphoric equivalent to an electric blanket made of grizzly bear hide. 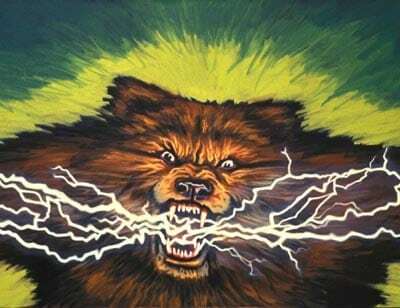 Devotea and I split the difference, comparing it to a grizzly bear that’d been struck by lightning . . . and turned into an electric blanket. In short, we all liked it. Second up was the Meng Ding Huang Ya (the tea I cheated on). This yellow tea had the group entirely split. Some thought it tasted like soap, others thought it resembled lawn-clippings, and others still quite likened it to a gentle green tea. There was no solid consensus of approval or disapproval, only that it was rather touchy to brew-up. I, personally, liked it; especially compared to some other yellow teas I’d tried. Most of us were sufficiently wired just after those two teas, but we all agreed to at least power through one more. 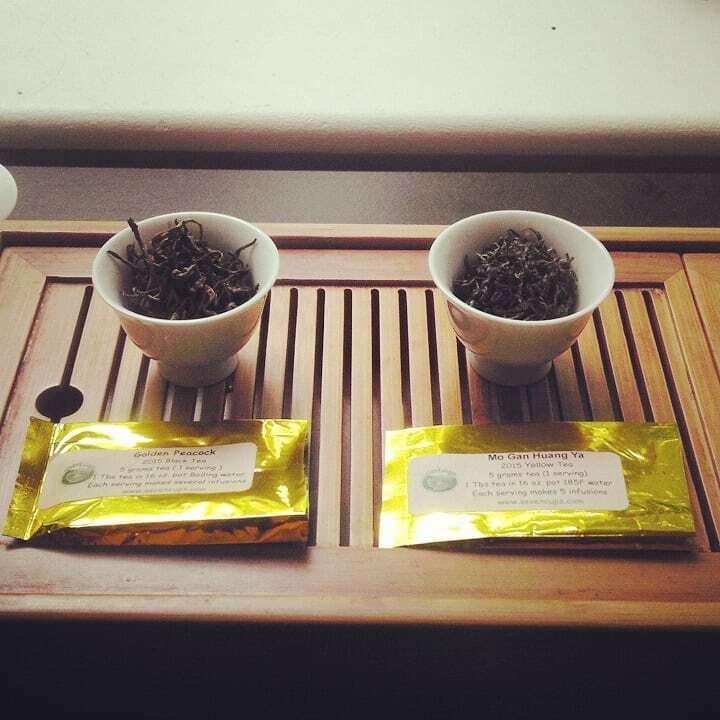 Our last cupping was the second yellow tea – the Mo Gan Huang Ya. This was not a Huang Ya type I’d heard of, nor was I familiar with the process. Aside from two people thinking it should’ve been tossed at sea, the rest of us found it to be the best of the bunch. It possessed a very silky-smooth-‘n-sweet profile without grassiness, astringency, or anything else remotely offensive. In other words, what a yellow tea was supposed be. By this time, the tandem tasting had gone on for three hours. People came and went as the conversation carried on over copious amounts of cuppings. What was most alarming to all of us was how we managed to stay on topic throughout the evening. That was a rarity for us. At 11:30PM, I finally shut my computer down. Way too buzzed to sleep. It took two melatonin caplets and a Tylenol PM to finally KO me. A few days later, I remembered that there was still one more tea I hadn’t dipped into. Que She (Sparrow’s Tongue). This had me wary. 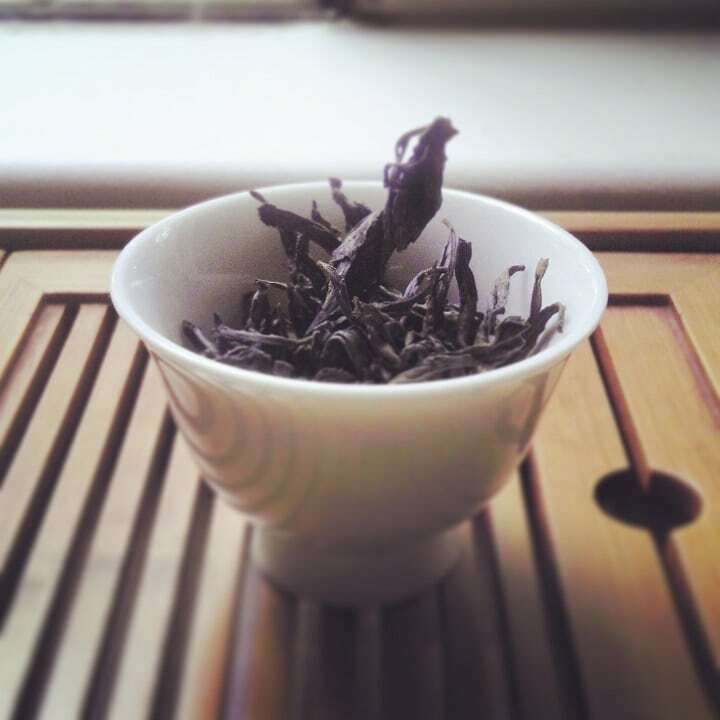 I wasn’t usually a fan of Wuyi cliff oolongs, finding them too roasty and . . . well . 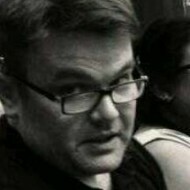 . . as Nicole Martin once coined, “Cliffy”. And this one sure smelled cliffy. For brewing, I approached it as delicately as possible. I only heated the water to 185F, and dared three successive infusions at twenty seconds each – tops. Sure, it was roasty and had all the graphite lean of oolongs of its ilk. But it was soooo gosh-darned . . . mellowing. And I think that pretty much sums up this whole endeavor. People pick their friends. Sometimes they’re not the right picks. So, how can you tell the good from the bad? I think it’s how mellow you feel around them. If you are relaxed around a particular group of people, comfortable enough to say what you want – regardless of reaction – and they still stick by you. Well, that group’s a keeper. What Makes a Moonlight Tea? It is a great group indeed. 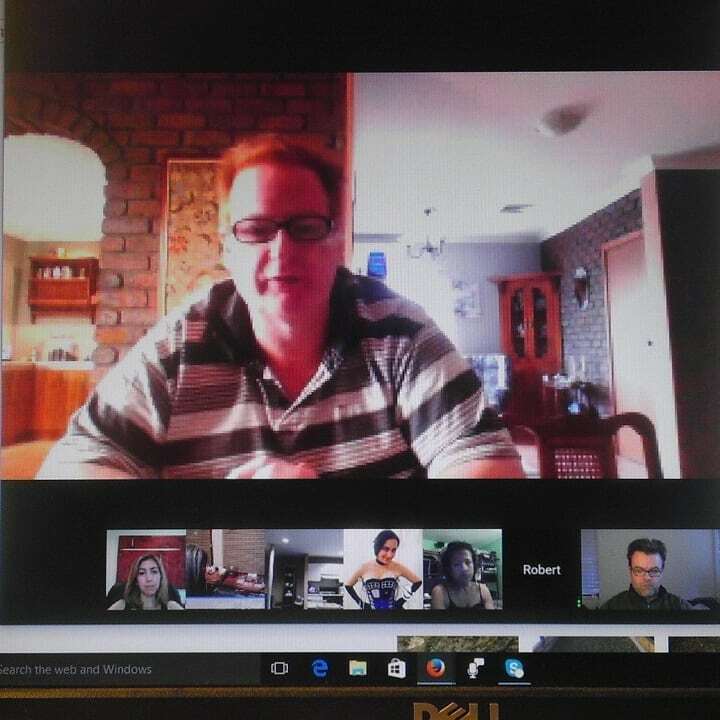 I find Google hangouts a very poor substitute for real life gatherings, but it’s the best we can do. We stayed sort of on topic. As much as necessary. It was great to see everyone again. PS: the plate rack in the background of that picture of me? It’s now a tea cabinet! Yes, I do remember you waxing pontificate about said cabinet. It is, indeed, a lovely cabinet. The best thing about tea is when you are drinking it you are instantly “calm” and feel relaxed as I stated when we went to Smith Teamakers on Monday! It is just a relief from the hustle and bussel (sp) of the world. I just wished that calmness worked all day. Sounds like a fun event! That’s the great thing about the Internet — we can make friends much more easily in any part of the world. Glad you’ve found your group! It took YEARS to cultivate. The group, I mean. What a fantastic tea tasting. So glad to have had shared a few cups with you even though it was through a screen. It has been far too long. My only regret is I never got to experience the grizzly bear electric blanket sensation as you did. I think you did, but you just won’t admit it. What a lovely write up of our meeting. Yes, it was time. I look forward to the next one and expect it will be filled in the revelry of tea. That’s neat that you can hang out with tea friends online. Sounds like you had a good time. I’ve never participated in a Google Hangout before, but it’s sounds like a great way to get together with people who live far and wide! It’s just like Skype . . . only easier to use. 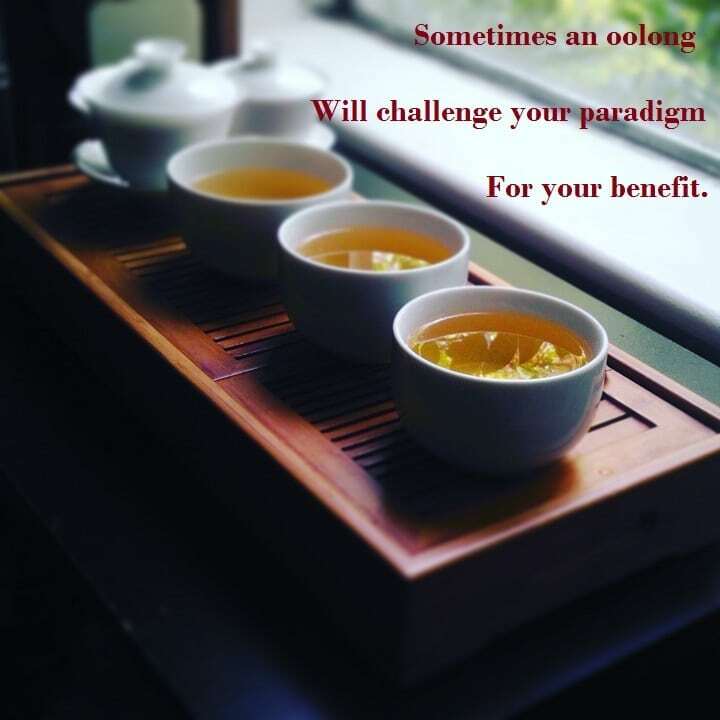 Another beautiful tea series – I always love your photographs! You managed to stay on focus? I am really impressed. Considering I *MISSED* the one time you did join us. (Damn snow.) Yes, yes you need to. 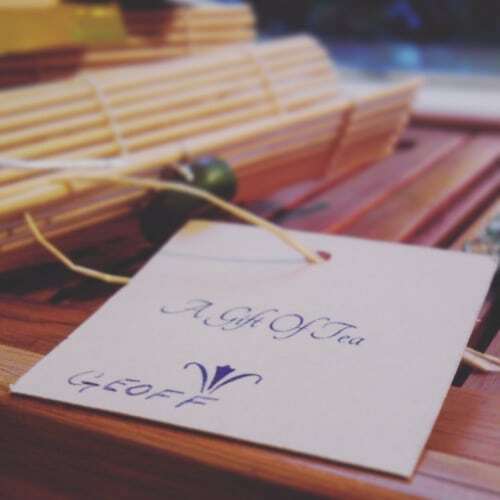 Geoff – Thanks for the fantastic recap of last Friday night’s G+ Hangout. As a newby to the forum, it took me a long time to figure out how to join you. 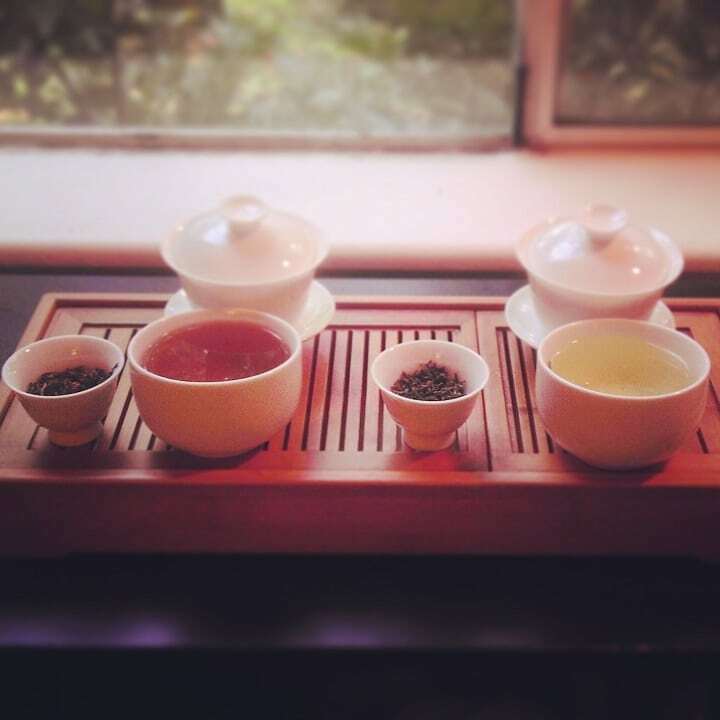 I missed a good half of the proceedings, so your post filled me in on the teas that I missed. I’m drinking the Que She right now – I like my Oolongs “cliffy” . Can’t wait until the next Hangout! A lot of people like their oolongs on the cliffy side. Guess I’m the odd man out. Looking forward to having you on the next tasting.